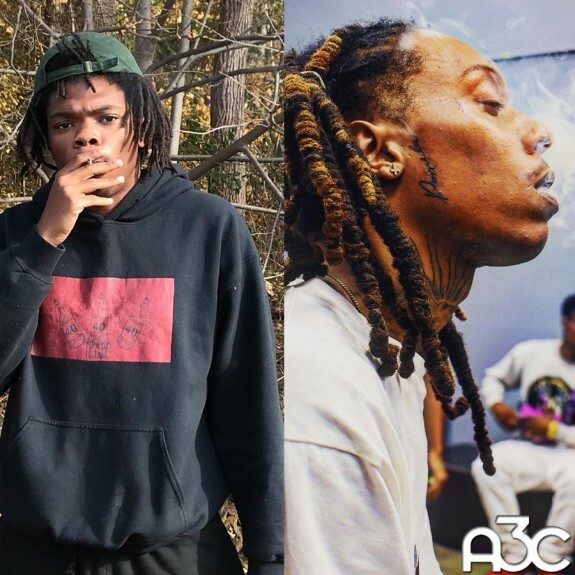 After releasing singles and videos with Bali Baby, TheGoodPerry, and Cap Gold, iHipHop Distribution and A3C are sharing two new singles from A3C Volume 8, which will be available worldwide on February 22nd. Hailing from Madison, WI, 20 year-old Trapo is often regarded as one of the hottest independent artists in the country. Self-described as literally living in the studio, Trapo began recording and mixing his music from his bedroom in the fifth grade. When his debut mixtape,The Black Beverly Hills, arrived in late 2015, it quickly garnered ‘best new artist’ designations from Pigeons & Planes and BBC Radio 1. He followed the successful project with the quick-strike EP, SHE, spawning the hit single “Chicago,” which rose to No. 2 on Spotify’s Global Viral Tracks chart in April 2016. Trapo’s follow-up album, Shade Trees, released in November 2016 would continue to earn him praise and he has become a rare member of Pigeons and Planes’ 20 Under 20 list for three consecutive years in a row. Trapo rounded out 2018 with a highly-regarded EP, Oil Change. As a close affiliate of Trippie Redd, Chris King initially made waves with his appearance on the 2017 cut “Love Scars Pt. 2 / Rack City” from Trippie’s breakthrough A Love Letter to You project. Since this appearance, Chris’ profile continued to grow and he branched out to work with artists including Ty Dolla $ign, YG, Mozzy and Jag, while still frequently collaborating with Trippie. The previous editions of the A3C compilation have included numerous, future prominent artist’s in hip-hop, allowing the series to receive recognition from numerous outlets, with editors from Apple Music stating, “The A&R rep has done a commendable job, cherry-picking some of the most promising, would-be rap stars from countless wannabes,” said editors from Apple Music. The compilation series has introduced numerous artist, to fans of the genre, who have established themselves as staples in the hip-hop marketplace. Past compilation artists include G-Eazy, Curren$y, A$AP Rocky, Yung Bans, Action Bronson, Vince Staples, Kodie Shane, Buddy, Smoke DZA, Rapsody,Dave East, Freddie Gibbs, Lucki, Thouxanbanfauni, Trademark Da Skydiver, Mick Jenkins, Sir Michael Rocks, Robb Bank$, and Jimmy Wopo, among others. The first artist to join their ranks in 2018 is 19-year-old Cap Gold, from San Antonio, TX, a promising newcomer who has already made his mark on his home state’s underground scene, and is continuing with “HighClass Fever,” the first single from A3C Volume 8. The Justin Perez-directed clip, which premiered today on HipHopDX, takes the viewer on a visual ride as Cap Gold gives you a taste of what’s to come. The 2018 compilation will continue it’s tradition of introducing hip hop’s up and coming new talent, delivering upwards of 50 tracks from the next generation of emerging artists. iHipHop Distribution is currently accepting submissions for A3C Volume 8. If you would like A3C and iHipHop Distribution to consider your music for this installment of the compilation series, please send your submission to pr@ihiphopdistribution.com (streaming links only).